New details and changes have emerged for the third installment of Ryan Murphy’s true crime series on FX. American Crime Story: Katrina will be based around 2005 Hurricane Katrina, the fifth deadliest and third most intense hurricane in the history of the United States. American Horror Story: Katrina was initially suppose to be the follow-up to The People v. O.J. Simpson, however it was pushed back because of complicated water effects and story issues. Those story issues may have been solved as there is new source material for the series. Initially, the series was going to be based on Douglas Brinkley’s book The Great Deluge: Hurricane Katrina, New Orleans. That has changed. Now, American Crime Story: Katrina will be based on Five Days at Memorial by Pullitzer Prize winner Sherry Fink. Scott Rudin initially had the rights to produce the book. He is now attached to the series as an Executive Producer alongside Murphy. Scheduling the show’s star studded cast was also an issue. 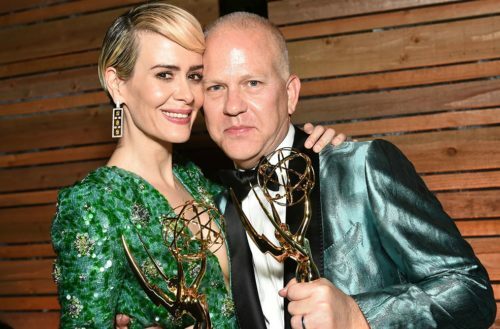 Sarah Paulson, Cuba Gooding Jr., Courtney B. Vance, Annette Bening, Matthew Broderick and Dennis Quaid all were named as part of the series’ cast. However, no one is currently attached to the series except Paulson who will play the lead, Dr. Anne Pou. Five Days at Memorial explores the aftermath of Hurricane Katrina at the New Orleans Memorial Medical Center as well as the decision by staff — including Dr. Pou — to euthanize critically ill patients after being trapped in the hospital for days without power. The book explores the attempts to prosecute Pou and two nurses for homicide after an investigation revealed elevated levels of morphine and other drugs in 23 patients who died at the hospital. Production is slated to begin in spring of 2019. The Assassination of Gianni Versace finished filming earlier this summer. The season, based on Maureen Orth’s book Vulgar Favors: Andrew Cunanan, Gianni Versace and the Largest Failed Manhunt in U.S. History, will explore the July 1997 assassination of legendary designer Gianni Versace. The Assassination of Gianni Versace will premiere on FX in January, 2018.